So, you want to be a physical therapist? You feel that you want to help other people move better and feel better using specific techniques and therapeutic exercise. The physical therapy profession is an incredible one, with many different opportunities and settings in which you can work. When deciding to become a PT, it is helpful to understand the path to school and the different degrees that PTs hold. There are several types of degrees a therapist may hold in the field of physical therapy. Earlier this profession was pursued as a bachelor's degree. However, around the end of the 1990s, the bachelor's degree in physical therapy was slowly replaced by master's and doctorate physical therapy degrees. Today, there are several variations. Currently, all new students in the United States are required to have a doctorate level degree to become a physical therapist. The Commission of Accreditation of Physical Therapist Education (CAPTE) requires that your school offer you a doctorate level degree for you to sit for your state licensure examination after graduation. The American Physical Therapy Association (APTA) has a goal that all PTs will enter the profession with a doctorate degree by the year 2020. Here are different types of degrees that your PT may have. The direct entry doctorate in physical therapy (DPT) is another excellent choice for those people who have completed their bachelor's degree and are looking to pursue a career in physical therapy. This degree is typically earned in three years. Many physical therapy programs offer a 3+3 program; you attend school for 3 years to earn a bachelor's degrees in a related field like biology and then you continue for 3 more years to earn your doctorate degree. The transitional DPT (tDPT) is the other degree created for physical therapists who already have a physical therapy bachelor's or master's degree. The tDPT allows your physical therapist to continue working while taking the necessary coursework to earn a DPT degree. It allows your PT to obtain a doctorate level degree without having to start over in their coursework. Your physical therapist may hold a degree that is not a doctorate level degree. Why? Because although the current requirement is that physical therapists obtain a doctorate level degree to sit for licensure, there is a grandfather clause that allows PTs who earned degrees prior to the doctorate requirement to continue to practice under their current degree and license. The transitional doctorate level degree for them is encouraged, but it is not required to remain in practice as a physical therapist. There are many physical therapy schools throughout the United States. To apply to one, use the Physical Therapy Central Application Service (PTCAS). This helps to organize your applications into one centralized online area. You should consider contacting the APTA to learn more about each school and to discover the joys of working as a physical therapist. 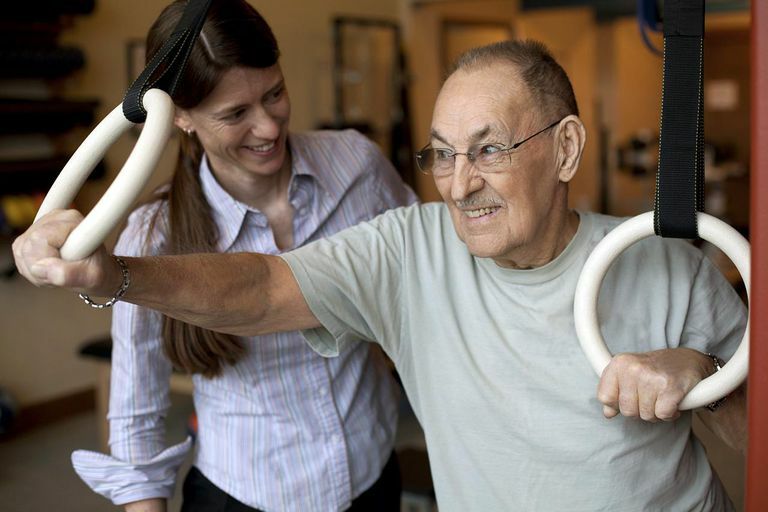 Physical therapy is a challenging and rewarding profession. Becoming a PT is not easy, but if you understand the different degrees your PT has, you can navigate the word of rehab and have a better understanding of the profession.